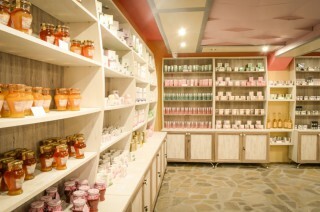 The variety of essential oils offered in the complex is more than great. 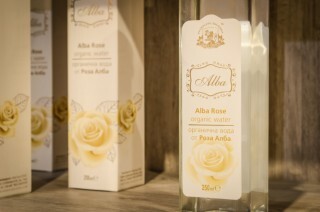 The Bulgarian rose oil is amongst the most wanted oils, as well as the lavender oil, the oils made of Melissa, mint and sage, which can be used both for medical treatment and beautifying procedures. Specific medical and aromatic attributes are characteristic also for the chamomile oil, basil oil, pine oil, geranium oil, juniper oil and the oils made of Rosa Alba and Hyssopus. For the appreciators there is a special set of six natural essential oils made of mint, basil, sage, juniper, lavender and pine. The connoisseurs can also buy a 4-gramm-Concum of rose oil in a special luxurious wooden box furnished with velvet on the inside. Visitors will enjoy the same variety of natural waters, distilled from the freshest leaves and blossoms of the herbs and plants. Their therapeutic, refreshing, antiseptic and calming effects and implementations are proven. 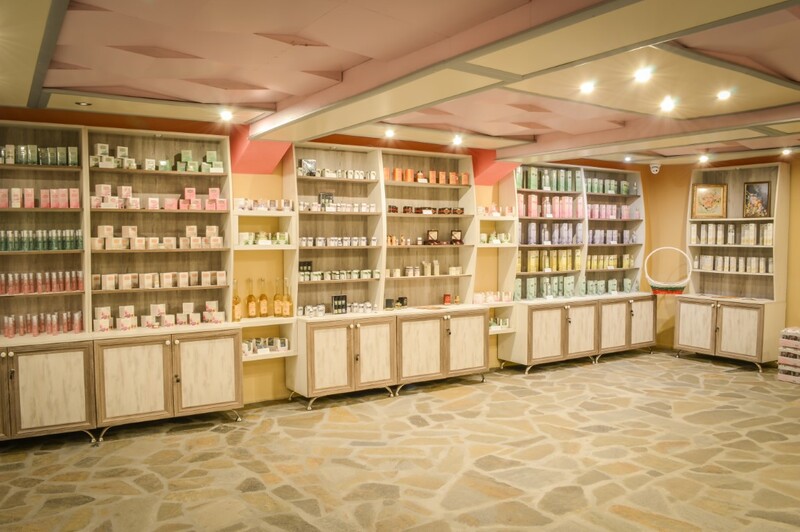 You can also buy Rose concrete and Rose absolute, which are derived by the method of extraction and are indeed the purest products made of herbs and essential oil plants. 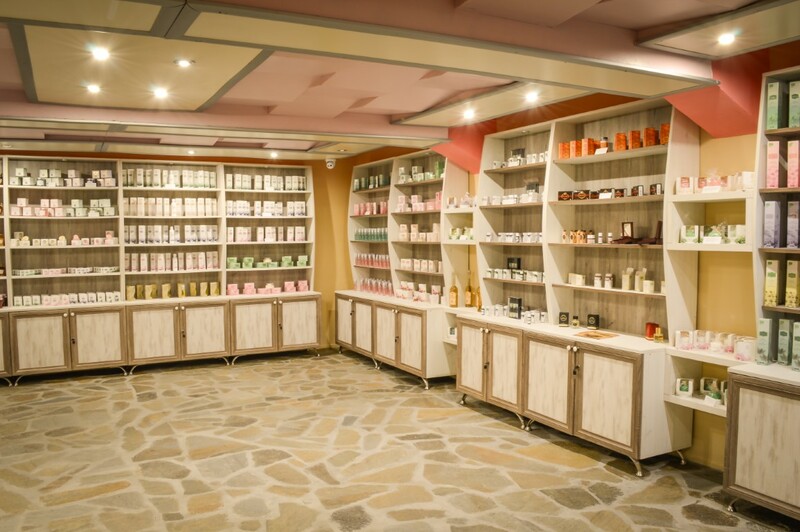 For those who like tea or home-made potions, the “Museum of essential oils” offers a variety of dried leaves and blossoms from lavender, chamomile, linden, Melissa, Rosa Alba, Rosa Damascene, dried goji berries and rosehip.